I named my car Rhonda because she has the attitude of a black grandma. My car is comfortable and spacious. I can comfortably fit five people. The trunk is also big enough that moving for college was no hassle. The gas mileage is great. The only difficulties I have with it would be the fact that it shakes when accelerating up to interstate speeds due to me needing to get the tires balanced, and it sputters when going up hills. The interior has cloth seats, which works better for me and my lifestyle. It also has automatic seats and mirrors. There is dual air-conditioning that still works. My CD drive does not work, but my Bluetooth has never shown any problems. The sound system is better than what I have heard in other cars, past ones I have owned or any of my friends'. The windows will not go down unless the driver's door is closed, but there is a sunroof that is pretty cool. The engine stalls when starting and sometimes will shut itself off. However, the ignition is designed to be when you turn the key, the car automatically starts without you having to hold it. The car runs smooth down highways and backroads alike. I have drove it down gravel for most of the time that I have had it and it is done great. Quick turns are not a problem either, though I do not suggest them because they are dangerous. Brakes work great since the brake lines were just recently replaced. Great for any type of drive or if you just need to go somewhere to sit alone for a while. 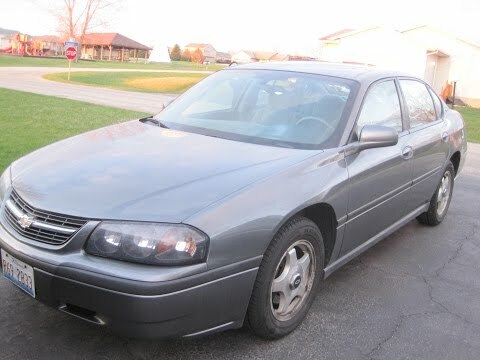 2005 Chevy impala a great family vehicle or a great traveling vehicle. I have a 2005 Chevy impala and I absolutely love it. I haven't had any issues with my vehicle since I got it. The previous owner did routine maintenance on it and I have continued to do so as it is new owner. It performs excellent and it is the perfect car for a small family. It does not have heated seats or anything fancy, but I am not really about luxury vehicles. The only time it goes to a garage is to be inspected. It is great in the winter. It is definitely a spacious car, it has six seats, and a very spacious trunk. I would recommend this vehicle for anyone with a small family looking for a spacious vehicle and a good vehicle to travel in. It is great on gas and does very well with long distance trips. 2005 Impala is generally reliable. Generally reliable car with very few repairs beyond general maintenance. Only problem has been the intake manifold gasket that leaked. The problem stemmed from the coolant that Chevrolet used that wasn't compatible with the gasket material. Company was sued but no recall. After complaint dealer fixed at no cost. Found out later that company policy required use of same materials. An immediate visit to another mechanic to swap fluids resolve the problem, but this could be an issue for used vehicles. The car mechanical design is otherwise simple and can be easily worked on by backyard mechanics. This car has over 200k miles and maybe $1000 in repairs thus far.